Get a kitchen starter box! Comes with all the household essentials. 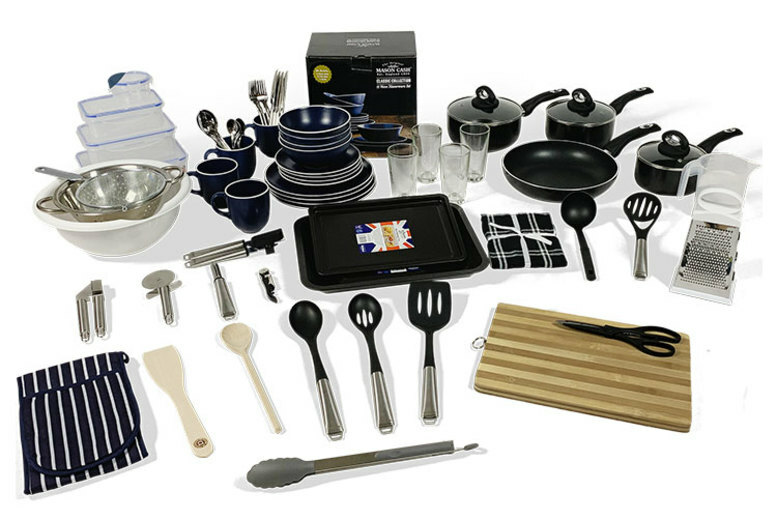 Including crockery, cutlery, non-stick cookware and more! Choose from three sizes (see below for more details). Perfect for moving home, expats or students!